This Personal Feng Shui Tools report Powerform and shows how to combine them. The Powerforms reflect our best positive energy back to us, just as understanding friends do. In this report, we will discover how each of our Powerforms energy tools can help us transform our energy. Then, we will learn how we can use empowering combinations of Activator, Neutral Space Plate, and Portal to experience vital energy, inner balance, and spiritual fulfillment! 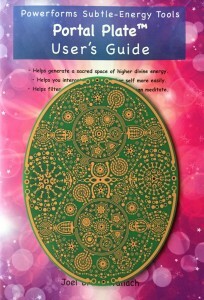 The Activator awakens our chakras and meridians by filtering our own personal life-energy. It re-patterns our unbalanced energy into refined energy so that we can discover our own unique positive vibrations. When we direct positive thoughts through the Activator, it assists us in all projects requiring activation. When combined with the Neutral Space Plate and Portal the Activator becomes a catalyst ­ the spark that “ignites” any process. The Neutral Space Plate resolves inner tension by unifying our yin and yang. 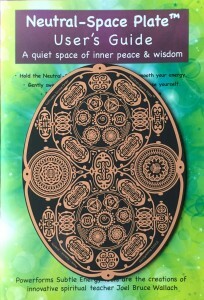 Each Neutral Space Plate user experiences their own personal inner peace vibration. The Neutral Space Plate, especially when used at the soles of the feet and palms of the hands, unifies and centers the mind and body. Excessive mental chatter is quieted ­ we feel safer in our physical body. 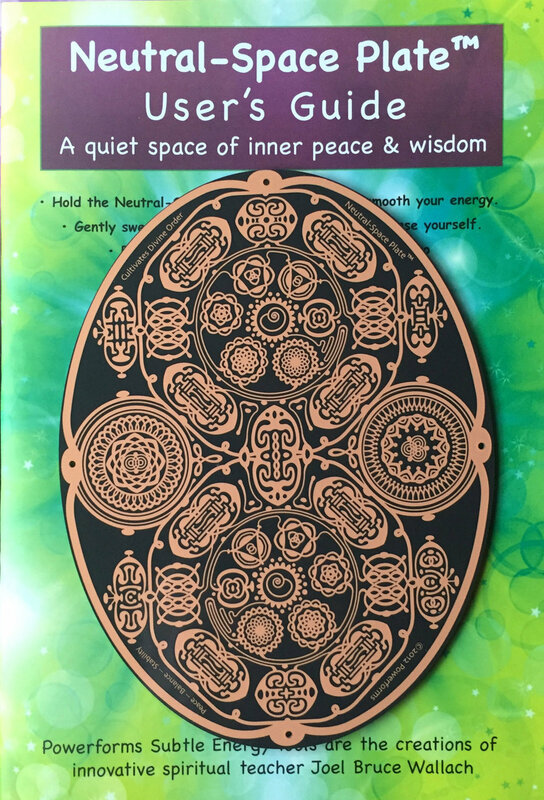 When positive thoughts are directed through the Neutral Space Plate, it assists all projects requiring grounding, centering, harmony, and peace. The Portal filters out earthly confusion, so that we can contact our higher spiritual self easily. The Portal is very open to our positive thoughts ­ it works with us to help us attune, manifest, and be our highest truth. When the earthly limitations are bypassed, our mind and spirit can soar freely. We discover and manifest our dreams. When we lie on the Powerforms, spinal energy blockages dissolve. This allows us to discover deeper meditative awareness states. We can combine placement of the Powerforms under the back, and on top of the chakra centers at the same time. Feel free to explore and discover what feels best. When we find a Powerforms combination that feels good, we go deeper into the meditative state and connect with our inner energy. We give ourselves positive affirmations and positive imagery. The Powerforms work even if we are wearing clothes, or if we have blankets or pillows between us and the Powerforms. ~ Activator under base of spine, Neutral Space Plate under head, Portal on top of heart. ~ Neutral Space Plate under base of spine, Activator under head, Portal on top of heart. ~ Neutral Space Plate under base of spine, Portal under head, Activator on top of solar plexus. ~ Portal under base of spine, Activator under head, Neutral Space Plate on top of solar plexus. ~ First disk under left hand, second disk under right hand, third disk on a chakra area. Please explore all the other combinations that are possible. Discover what it feels like when the yin side of the Powerforms faces the body, or when the yang side faces the body. In this way, we can create the customized energy experience we want. 1.) Lie on the back. 2.) Place one Powerform under the base of the spine, or the feet. 3.) Another Powerform is under the neck or upper part of spine (the energy works through blankets and pillows). 4.) Ask a friend to hold the third Powerform like a fan. They gently sweep up and down our body. 1.) Lie on the back, with one Powerform under the base of the spine, and another Powerform under the neck. 2.) As we are lying down on the two Powerforms, we calmly hold a third Powerform in our hands. 3.) We imagine our body energy swirling through our body, through the arms, through the hands, into the Powerform. 4.) We swirl the energy around the Powerform, and flow the purified energy back into our body. 1.) Sit on the Activator. 2.) Hold the Neutral Space Plate with both hands. 3.) Place the Portal under the feet. 4.) Notice breath and heart-beat. 5.) We let ourselves relax more deeply with each breath. Option: Explore this with different Powerforms combinations. 2.) Hold the Portal with both hands. 3.) Place the Neutral Space Plate under the feet. 4.) Tune into the “inner temple” of the self. 5.) Share any wishes, affirmations, questions with the higher self. This exercise uses the earthy energy of the Neutral Space Plate with the catalyst Activator. 1.) Sit on the Portal. 2.) Hold the Activator in one hand, and the Neutral Space Plate in the other hand. 3a.) Hold the Neutral Space Plate in front of the hara. 3b.) Hold the Activator in front of the throat. 4.) Each time we take a breath, we shift the positions of our hands. The chakras are alternately stabilized and awakened. 5.) When we have generated some good energy, we complete the exercise by placing both the Activator and Neutral Space Plate together between our palms. 6.) This is a powerful moment to say our positive affirmations. 1.) Sit on the Activator (yin side faces body for milder effect, yang side faces body for stronger effect). 3.) We place the Portal on a table in front of us. a.) Using our imagination, we take some stuck energy from our body and place it in the Portal energy column (the stuck energy could be physical or emotional tension, etc). b.) We move the stuck energy up and down the column until it becomes lighter. It develops into a healing energy. c.) We return the purified energy to our body, and gently move it up and down the body until we feel a breath release — the breathing becomes deeper. d.) We take another sample of our energy and purify it in the Portal column. e.) Each time we purify our energy and return it to our body, we receive a homeopathic healing vibration that works deeply in our energy body. 1.) Place one Powerform on a picture easel facing the feet. 2.) Place another Powerform on a picture easel facing the head. 3.) Lie down between the two Powerforms. 4.) 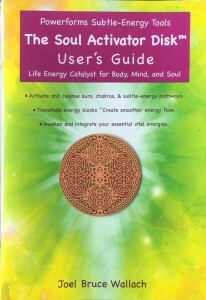 The third Powerform can be placed under the back, placed on a chakra, or held in the hands. 5.) With each breath, let awareness sweep up and down. 6.) When everything feels more balanced, tune into positive affirmations. We place each of the three Powerforms on a small picture easel facing us. We sit in the middle of the 3 pointed energy star. If the yin sides face us, the effect is milder. If the yang sides face us, the effect is stronger. It is o.k. to combine yin and yang sides facing us. The energy star screens out world negativity so we can meditate and discover our true self in peace. We can feel our energy more easily, talk with our higher self, and rejuvenate. This crystal-energy star is a 6-pointed circle of 2 Activators, 2 Neutral Space Plates, and 2 Portals, each on a small picture easel facing the center of the circle. Act. yin — Bal. yang — Port yin — Act. yang — Bal. yin — Port. yang. Notice that the Activators face each other, the Neutral Space Plate face each other, and the Portals face each other. When we are within this super energy crystal star, we can touch the divine energy of the universe easily, and contact with our potential quickly. When we are ready for deep explorations of the inner self, spiritual evolution, and vital transformation, the super energy star is a valuable tool. We use our hands to direct energy around and around the star. This creates a living vortex of energy. Use positive intent while creating the living vortex. Healing — love — peace — prosperity — creativity, etc. We use our hands to direct energy up from the column into the sky. We also direct energy from the column to the center of the earth. With our hands, we sweep the energy of this huge column up and down. We affirm peace, prosperity, good health, and divine protection for our home and for the planet… today and tomorrow. Large tube resonators connect the energy star with the earth, and make its energy stronger and more grounded. Get large cardboard mailing tubes from the post office. Place them upright in the room where the energy star will be. The end facing the floor is open. The upper end is partly open. Place paper, cardboard, or tape on the upper end to support the picture-easel holding the disk. The tubes are arranged in a 3-star or 6-star energy pattern. ~ Water cleansing method: The Powerform can be cleansed by placing it under cold running tap water for 30-60 seconds. Towel dry it afterwards. ~ Fanning: Hold the Powerform like a fan and briskly fan it for 15 seconds or more to release energy build-up. Add “intention for cleansing” as needed. ~ Breath: A quick cleansing technique is to actually blow on the Powerform. It helps if we add some “intention for cleansing” as we do this. Blow a sharp quick blast. ~ Percussive slap release: Hold the Powerform in one palm, and sharply slap the surface with the other hand. Intend: “release!”. Do this a few times to burst old energy. We imagine a whirling ball of “electric cleansing fire” in and around the Powerform, like a vigorous whirling whisk-broom. (just imagine, or pretend, that the cleansing is occurring — intent is powerful, especially with energy tools).